Adjusted to my 6-month pregnant body perfectly! I first bought my dream dress from White Swan in December. It was a bit above my price range, but I was in love - so I spoke with Mila and she told me I HAD to have it, so she made an incredible deal with me. Then, I found out I was pregnant in April. I would be 6 months pregnant on my wedding day. The team instantly assured me that it wouldn't be a problem, and that I certainly wasn't the first or last to come across this situation. With just two adjustments, the seamstresses made the dress fit me perfectly. I can't express how nervous I was about the dress, but White Swan pulled it off in expert fashion. 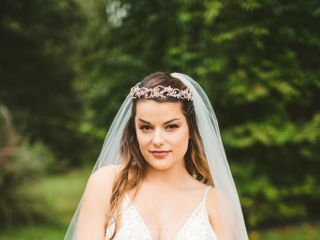 On my wedding day, I felt like a goddess. I was so proud of showing off my baby bump, and I can't thank Mila and the team enough. In the pictures attached, the dress, veil, and headpeice are all from White Swan! Dear Courtney! Thank you so much for your kind words! You are such a beautiful bride, thank you for letting us be a part of this journey! Can't speak highly enough about my experience picking out a dress at White Swan Bridal! Mila, the owner, and her daughter, Anna, are the best. They have an amazing selection of dresses in so many different styles. Not only that, but they are incredibly flexible, and will help you find the perfect dress at a price you can afford. Even if they don't have exactly what you're looking for, they can help alter any dress into the dress of your dreams. Nothing is impossible with them! Both ladies are patient, kind, attentive, helpful with styling, and very clearly prioritize and value their brides. I had been to many other stores before I came to White Swan; I wish I could go back in time and skip all the other salons because my search would have been so much shorter. Can't wait to be a White Swan Bride in my perfect dress next summer! Dear Monica, thank you so much for your kind words, we truly appreciate it! Thank you for letting us be a part of this experience with you! Mila was just lovely and patient despite all my many requirements and small budget. Had a wonderful experience tagging along with a friend for her fitting and even got a little something for my own wedding day! Friendly staff that really know what they are doing and gorgeous dresses! Thank you! Dear Kathy! Thank you so much for your kind words! We truly appreciate your business! I loved my dress! I went to a couple other places first but none of them really “spoke” to me then I went to white swan bridal and found the perfect dress! It was gorgeous, it had everything I wanted. The salesperson who helped me was very helpful, she was honest with how they looked which was very helpful to me. When I tried on “my” dress she told me the color of the dress looked very good with my skin color. They do all the alterations in store which is nice because at my last fitting I needed something fixed and they fixed it in store so it was ready in an hour. They added straps too! I had a fantastic experience here! I expected this to be my first stop in a series of shops, but I didn't need to go anywhere else! I had a very vague idea of what I wanted, but the staff figured it out before I did. After maybe an hour of trying different styles, they told me they had the perfect dress, and it was indeed perfect! 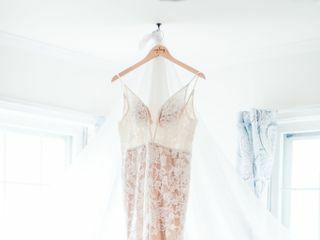 They were also so great about matching my limited budget, and they added a lace jacket to my strapless dress within a couple of days. I cannot thank the staff and the owner enough for being fun and accommodating! Dear Yuni! Thank you so much for your kind words! We truly appreciate you taking the time! Have a great day! White Swan has been a staple in the town i grew up for YEARS. I'd drive by it and always think "when i get engaged, i'm gonna go there!" So..when i got engaged in March 2018, White Swan was the first place I made an appointment. The consultants were super friendly and helpful and my consultant actually ended up choosing my dress...she chose one i'd said no to because it was out of my comfort zone and it ended up being the first dress i tried on, the one i purchased, and the one i wore as the dress of my dreams on 8/25/18. I LOVED how White Swan had their gowns on mannequins...that helped me visualize so much better than peeling through endless plastic bags of white dresses. The owner, Mila, is amazing. She spoke to the designer of my dress to have it rushed given my shorter timeframe and helped me choose all the right alterations. 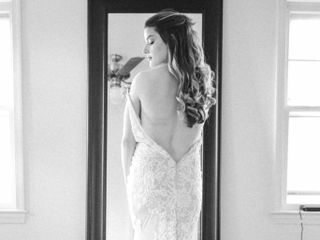 I felt like a princess on my wedding day in the gown I chose and I'm so thankful I went to White Swan! Dear Vanessa! Thank you so much for your kind words and the beautiful photos! You look simply stunning! It was an honor to be a part of your wedding journey! Congratulations!!!! I was able to find the best dress for me on the first visit there - the stuff was very helpful and on top of things! They also offer alteration and preservation services right in the shop, all the high-quality service. Highly recommend this shop for everyone! Everyone know how difficult it is to search for the best fit wedding dress for your dream wedding however White Swan Bridal helped made this anxiety vanished in a heartbeat. Miss Miller and her assistants made me felt at home and provided me with guidance and flexibility in the process to have all the unique wedding dresses i deserve and I had dreamt about. They were very professional and patient. It didn't matter how many times I went to the store and how often I tried on the dresses, they were supportive and always ready to provide their professional opinion and constructive criticism to finally arrive at my final choice of dress which wowed all my guests on my wedding day which was August 4, 2018. For all the bride-to-be out there who are searching online and stores for your dream wedding dresses, please, I urge you to visit this amazing bridal shop and trust me, you will definitely find your dream dress. There are several top designer and trending dresses to choose from but even if you don't find what you want, Miss Miller will search through her list of designers and ensure she finds that dress with all the wow factors you're looking for and order for you and also ensure that you receive it on time for your big day. Finally, her alterations are flawlessly done, perfect and neat. Her prices are very reasonable compare to all the shops I visited. She is always ready to work with your budget which for me, i found it to be very awesome. Thank you White Swan Bridal for making my dream wedding dress and day a reality and very very special. Dear Nana, thank you so much for your kind words! It was such a pleasure working with you! Milla and I (Anna) send our warmest wishes and congratulations on your wedding day! We can't wait to see your photos! I purchased the dress for my daughters wedding at White Swan Bridal. She fell in love with a Calla Blanche L'amour. They worked within my budget and altered the dress so it was beautiful. They were friendly and fantastic. Mila was great as was Anna. We also purchases a veil and a comb there. It was a wonderful experience! I highly recommend the shop. Dear Mary Kay, thank you so much for your kind words! We truly appreciate you taking the time to give us feedback about your experience. It was an honor to be a part of your wedding experience! I asked Mila to do alterations on the dress my mother wore for her wedding. Everything came out beautifully! She is very upfront about the cost - it is higher end and more expensive, but the results can't be beat! Everyone at the store was accommodating and pleasant and some of the alterations she suggested based on her advanced knowledge. For example, she added bones to the dress to give it more structure and it looked wonderful and I felt beautiful on my wedding day! Dear Christine! Thank you so much for your feedback about your boutique! We truly appreciate your business and we look forward to helping you in the future for any of your alterations needs! I found the most beautiful dress at White Swan Bridal, and was very impressed with the knowledge that the owner of the store had about style & material choices! When I walked in, I thought I had an idea of what kind of dress I wanted... until I tried those kinds on and wasn't happy. It was then that I tried on a different style, recommended by the store owner (and my mother!) and found my dream dress. I can't tell you how many people complimented me on the dress throughout my wedding day! The dress, for its quality, was priced well and I was able to get alterations & my veil at White Swan as well. All of the work was done beautifully and on time. 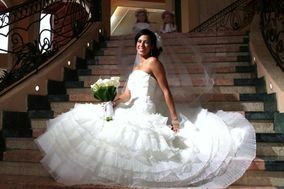 I recommend White Swan Bridal for quality wedding dresses and professional expertise on fashion & fabric! Dear Clara, Thank you so much for your kind words! You look fantastic in your photos! We are honored that you selected our shop to be a part of your wedding journey! Congratulations! I purchased my original dress two years ago from a boutique shop in Leesburg. Unfortunately, after taking the dress for my fittings I realized that I purchased a dress that was not meant for my figure. With 19...yes...19 days until my wedding I drove to Vienna and found a replacement dress. Mila and her team were able to alter the dress within a few days. When I returned to try on my new dress, I happened to see another dress that I had my eye on however was unable to locate. Just for fun I decided to try the dress on...just to put my mind at ease. Well, that was THE DRESS. The one I had been looking for and dreaming of. Now...with 12 days until my wedding...I changed my mind again. Once again Mila and her Team were right there to begin the fitting process. 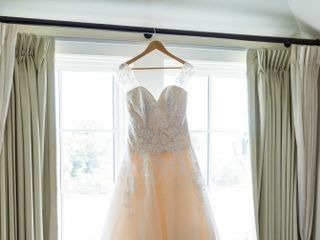 They had my dress ready with an absolutely perfect fit within only a few days. I wish I had started my dress hunting at White Swan. Between their large selection, excellent customer services, and AMAZINGLY talented team...I spent my wedding day feeling like a queen. Thank you so much for your kind words and the beautiful photos! Its as truly a pleasure to be a part of your wedding experience! You look simply stunning! White Swan is amazing! The team there is very friendly, knowledgable, and will work with you to find your perfect dress in budget. They're different from most shops as they show all their dresses on mannequins. This really helps to show you how the dress will look on to get a better idea rather than just seeing the dress on a rack! They helped me find all the dresses in stock that fit in the vision I was looking for. The dress I fell in love with was one I had to buy off the rack because ordering took over a year for that company unfortunately. The dress had not been in stock long, so there were no flaws, except that it was a size 10 and I was a size ~2. You would never be able to tell that after the alterations! They did amazing taking the dress down to my size and making all the small changes I wanted to make my dress absolutely perfect. I also purchased my veil there, which was a custom creation by the owner. It was gorgeous!! Highly recommend!! Dear Jamie! Thank you so much for your kind words! We truly appreciate you taking the time to review us. It was a pleasure to work with you and we wish you all the best in the future! White Swan Bridal totally saved my wedding! 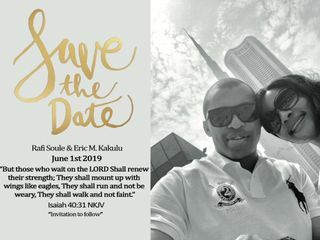 I called for an emergency appointment 10 days prior to an unplanned wedding date (our father turned ill and we decided to marry 10 months in advance to make sure he could attend.) White Swan treated me like a queen, despite my need to find a dress and have it altered ON THE SAME DAY! They showed me as many dresses as I liked and did alterations on the spot. I spent 2.5 hours in the shop and left with my DREAM WEDDING DRESS!!! They not only took care of me personally, but emotionally and I will never forget the service and support I received from some very amazing women. THANK YOU!!! Thank you so much for your kind words and Congratulations on your wedding! Dear Mariam, thank you so much for your kind words, we passed along your well wishes! A beautiful store with beautiful dresses. The staff is so helpful and the prices are great too. One of the pluses of going to this store is that the dresses are on forms so you can actually see them instead of digging through a rack. Great selection! They do the alterations, cleaning, and preservation on-site. My first store to search for my dress and I had a great experience. Everyone so professional and ready to help. I am in love with my dress exactly the way I was dreaming. I highly recommend this place. Can't wait to use my dress. Thank you!!!! The owner is wonderful and the staff is extraordinary. Quick and friendly. I went there after a dress crisis after buying a dress from another company. Megan was wonderful with helping me find my dream dress that was within my budget and beautiful on me. If you want a great dress for a great deal and with excellent and attentive service, definitely go to White Swan Bridal. My mother and I wandered in without an appointment after just leaving an up-scale, stiff and snotty bridal shop that had left us with a sour taste in our mouths. Dresses for thousands of dollars did not flatter, no matter how many I tried on. At White Swan Bridal, I found my perfect dress in a matter of minutes. Even without an appointment, as soon as I walked in, I felt welcomed. Thank you so much! Thank you so much for your kind words! Congratulations on your wedding! They were fantastic helping find the dress I wanted, making sure it fit, and dealing with our multiple state party. My mother had her dress shipped to her in California and they were fantastic about that. It fit her perfectly. They let me pick out a dress a year in advance and helped all along the way. Dear Veronica, Thank you so much for your kind words! We wish you all the best! Wonderful Experience! This bridal shop has very unique gowns and you are able to customize any gown to fit your style. Anna is very professional and the whole team is very willing to please the bride in any way! Thank you so much for your kind words! We truly appreciate it! BEST BRIDAL SHOP EVER!!! I was in a unique situation. I was your typical bride that lost weight and was looking my best when I tried on dresses (I was planning on a losing a few more too!). I found the perfect dress that I absolutely fell in love with. Bought it that day, was so happy. A few months later, I found out I was pregnant with twins and would be 6 months pregnant on my wedding date! Yikes! I was 120% sure I was going to have to buy another dress. But no! They have a miracle/magical seamstress that made my dress fit!! I still cannot believe it. From the front and back, you could not even tell i had 6 month twins in my belly. From the side, you obviously could, but the fact that they were able to make it fit and make it still look like the same dress, was amazing. More than amazing. I also bought my headpiece here which got just as many compliments as my dress. I will say the shop will not give you the frilly experience other boutiques may give you (I went to one before White Swan), but their dress selection, price ranges, and amazing tailoring is better than what any other shop can offer. I would suggest White Swan to any bride, but also the brides that require some creativity (during one of m visits, I saw another bride trying on her dress and it was custom made by White Swan. It looked actually amazing). They can do anything with a dress! I would also suggest them even if you have a dress and you need it tailored. Just love this place. Cannot say enough good things about it. Thank you so much for your kind words, we truly appreciate it!